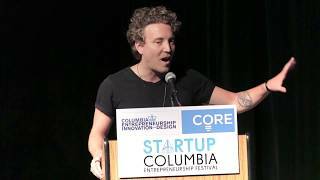 Award-winning entrepreneur and journalist Shane Snow reveals the counterintuitive reasons why so many partnerships and groups break down--and why some break through. Entrepreneur and journalist Shane Snow analyzes the lives of people and companies that do incredible things in implausibly short time. A dynamic storyteller and internationally acclaimed keynote speaker, Snow has been declared a "Wunderkind" by The New York Times, a "Maverick" by Details Magazine, and his work "Insanely addicting" by GQ. Snow's writing has appeared in Wired, The New Yorker, Fast Company, The Washington Post, and Time. He's a recipient of Columbia University's prestigious "Innovator Award" for furthering the cause of journalism as the co-founder of Contently, which has been repeatedly named to Inc. and Deloitte's lists of fastest growing private companies, and Crains and Ad Age's best places to work in America. In his entertaining and provocative keynote presentations, Snow shatters common wisdom through gripping stories and surprising research. The BBC says that Snow's ideas, "could change your life," and Maxim Magazine adds, "Snow is not telling you how to succeed; he's daring you to do it." Take an intellectual adventure through history, neuroscience, psychology and business, exploring the counter-intuitive secrets of the world's most successful teams and coalitions. You'll learn about the surprising factor behind most failed mergers and marriages; how a certain method of fighting is more useful than brainstorming; how properly leveraging "diversity of thought" helps groups outmatch much more talented teams; the science of becoming open-minded—and the outsize effect it has on group success; and the counter-intuitive truths about becoming better team players ourselves. 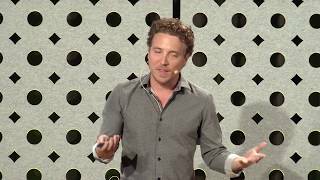 This brilliant and entertaining keynote performance will change the way you think about people, progress, and collaboration. In this entertaining and action-oriented keynote session, Snow shares the fascinating content strategy insights behind his award-winning company and hit book The Storytelling Edge. Why do twice as many people trust J.K. Rowling than the Queen of England? How do some companies build incredible brands, gain massive mindshare, and change their customers' minds seemingly overnight while others toil for years to do the same? The answer to all of these is the same: through the power of great storytelling. With his signature blending of dramatic narrative and rigorous science, Snow shows not only how each member of the audience can use storytelling to supercharge their respective jobs, but how stories work at a neurological level and how our organizations can harness their power to build relationships, make people care, and spur the change we need. Breakthrough innovation happens when we rethink conventional wisdom. But how do you train yourself, and your organization, to think differently? How do you foster an environment where it's safe to do so, where innovation can thrive without destroying your business? How do the world's most clever companies manage to not only endure change, but harness it to climb to new heights? How do rocket makers and children's hospitals stay alive in the face of market shifts and competitive challenges? What can established businesses learn from revolutionaries, crazy geniuses, and crackpot comedians to help manage changes big and small? In this dynamic and surprising keynote session, Snow packages rigorous research with compelling stories that will inspire your teams with a formula to unlock innovation in any industry, and showing attendees—workers and leaders alike—how to beat the plateau and generate momentum in work and life.